Gary England has been named director of the University of Florida’s Institute of Food and Agricultural Sciences (UF/IFAS) Hastings Agricultural Extension Center (HAEC). The center is a resource for residents and agricultural producers in northeast Florida, a region known for both potatoes and surging urban development. 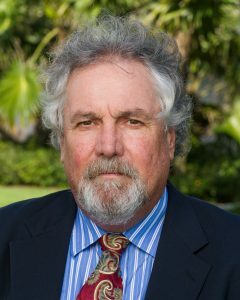 England, who grew up in Ohio, attended the University of Florida as an undergraduate with the goal of becoming a golf course superintendent. After working in the golf industry, he returned to UF to earn a master’s degree in weed science. Before becoming director, England worked as a multi-county UF/IFAS Extension agent in both Sumter and Lake counties, where he specialized in commercial horticulture and fruit crops, respectively. In addition to being UF/IFAS HAEC director, England will also act as a regional specialized agent for the UF/IFAS Extension central district.